So, I have royally jacked up something in my knee. Remember how I said it started hurting in Orlando? Yeah, well it's just getting worse. I don't understand how it can hurt that bad when literally all I did was walk. I suppose it's time to throw in the towel and go get it checked out. Let's hope it's nothing serious! 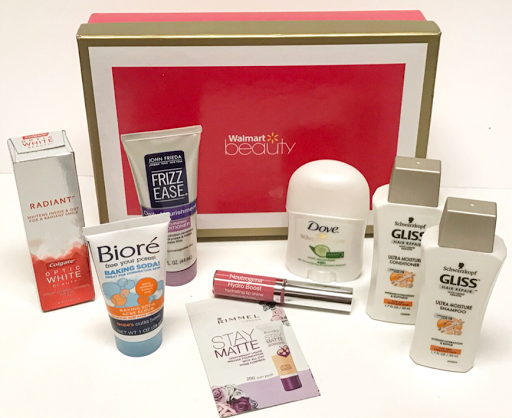 In the meantime though, let's do something fun and check out what lies within the Spring 2017 Walmart Beauty Box. 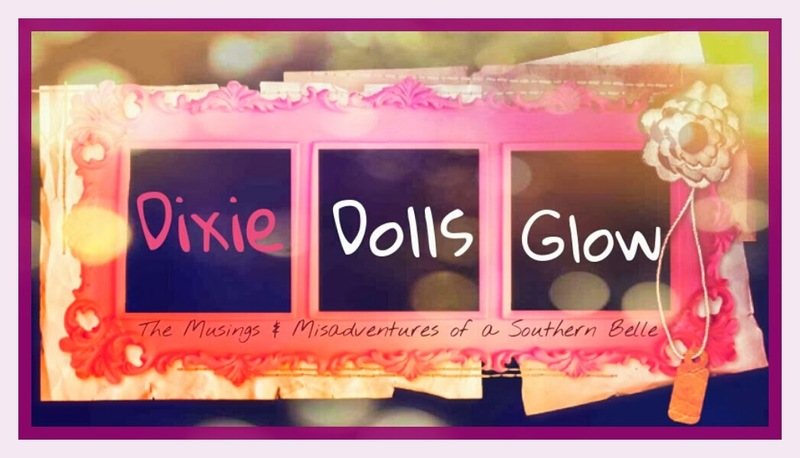 Seriously, the amount of product you get for a tiny little $5 price is pretty freaking phenomenal. Well worth that money! 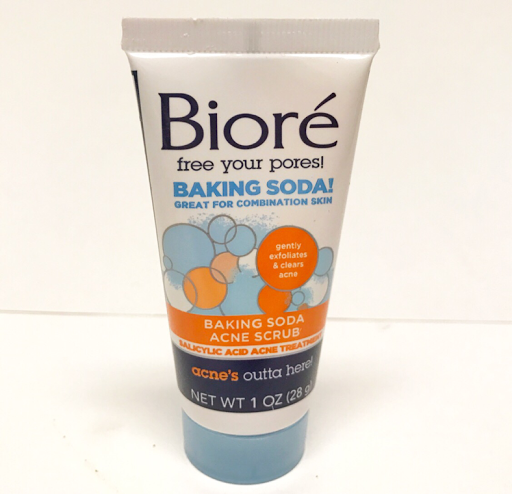 Biore Baking Soda Acne Scrub --- I honestly never had any issues with acne till my mid twenties and have used Proactive for around a year now. I actually am liking this just as much and it's much cheaper. I also love the smell, the clean feeling after you wash it off and it doesn't dry my skin out as much either. 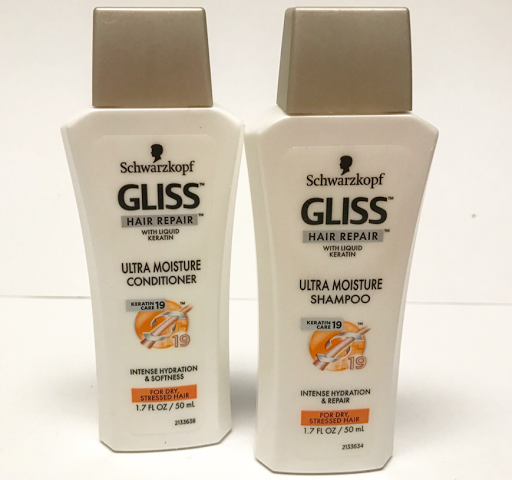 Schwarzkopf Gliss Shampoo & Conditioner --- This is a brand I knew well when I still did hair. Their color line is phenomenal. This duo is great as well. It's packed with Liquid Keratin to help repair and strengthen damaged hair and its extremely moisturizing. It's smells great too! 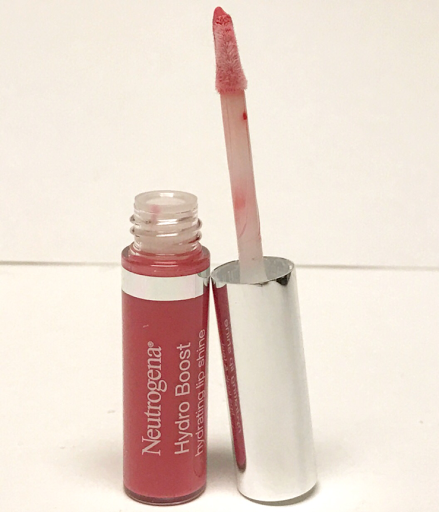 Neutrogena Hydro Boost Lip Shine --- I have loved Neutrogena makeup for years. 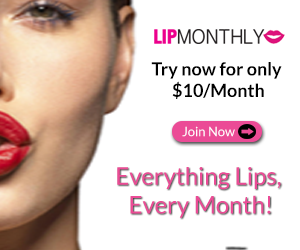 This is a really lush, hydrating gloss in a beautiful, natural shade. 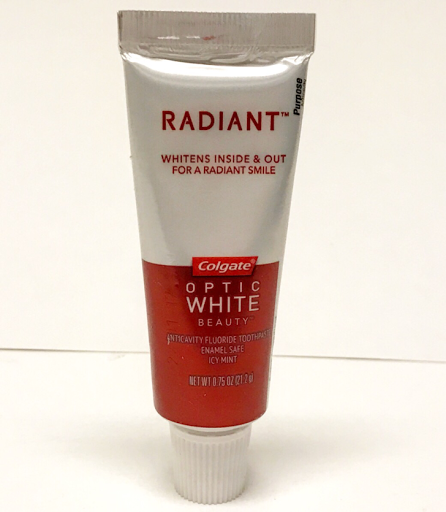 Colgate Radiant Toothpaste --- Not really much to say about toothpaste other than I like this line from Colgate and I can always use more of it. 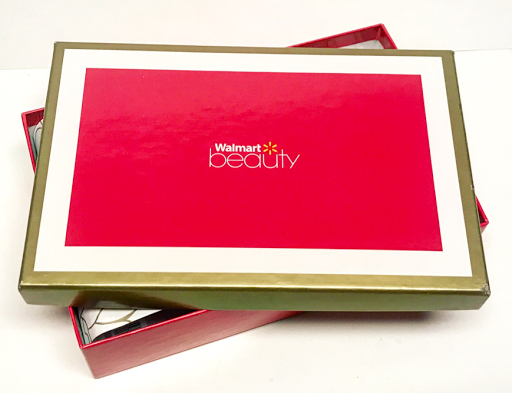 It's a product I'm never disappointed to see in a box. 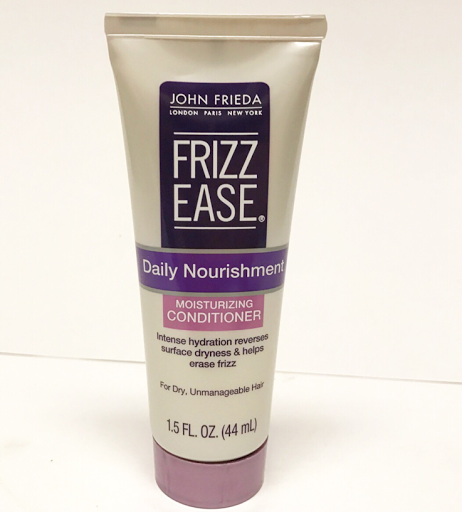 John Frieda Frizz Ease Conditioner --- One thing's for sure, years of coloring and straightening my hair have caused some dry damaged ends. This is great for taming some of the frizz but I can't use a massive amount or my fine, thin hair looks dirty! 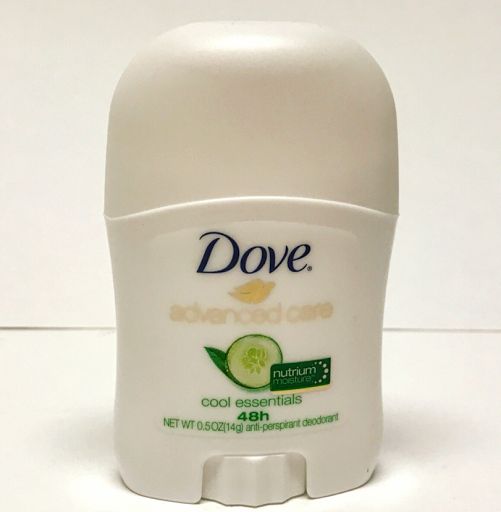 Dove Advanced Care Deodorant --- Another item I am always very happy to see in a beauty box. It's always needed and Dove happens to be one of the few brands that doesn't irritate my sensitive skin. 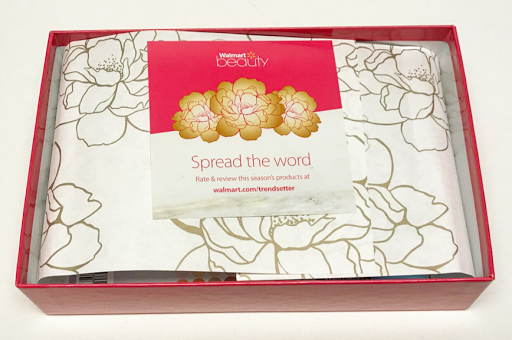 Not only does it keep you fresh and dry for hours, it also contains nutrium moisture to keep your skin super soft! Like I said before, this is a box that never disappoints and is always well worth the tiny $5 price. 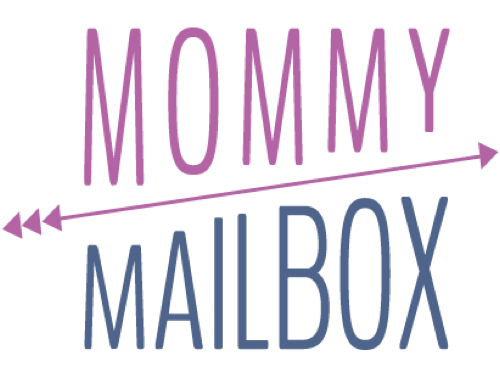 I only wish they shipped boxes monthly as opposed to quarterly! 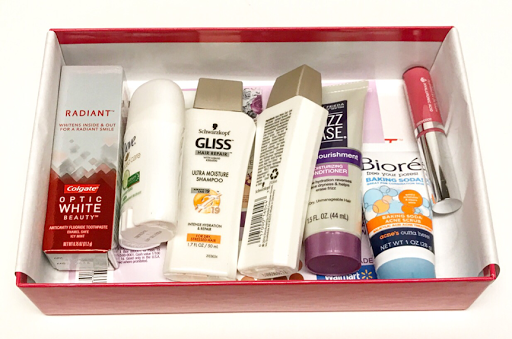 Thoughts on Walmart Beauty Box? Share with us!